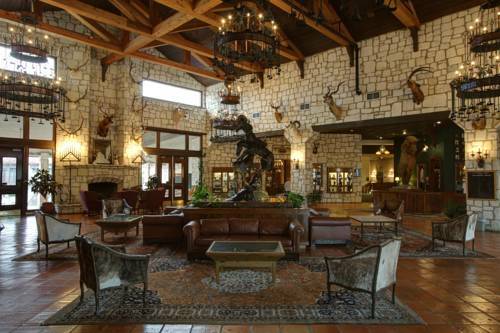 YO ranch hotel and conference center is located 68 miles northwest of san antonio texas in the beautiful texas hill country. 0.75 mile off of ih 10 exit 508 hwy 16 south. watch for the yo brand in the sky at the corner of hwy 16S and loop 534 veterans hwy. Entrance is 0.5 down the block on your left north.